Understand how effective call management can ensure that your business never misses another call. The more calls your company receives, the more chances you have to make a sale. Your call management system is therefore extremely important to your bottom line as well as your reputation. If your employees are on the phone all the time, you might think you’re maximising sales opportunities, but what about the calls that go unanswered or are routed incorrectly? Are you in control of what happens to a call when your company is using all available voice capacity? Do you even have a record of the calls that were missed? To avoid losing money you need to know how to effectively manage your inbound calls. Unanswered calls represent possible revenue opportunities that are being ignored. By tracking your usage patterns and learning about the calls your company is missing, you can avoid missing these opportunities going forward. Most companies start losing revenue opportunities when they are maxing out their available voice capacity. This can be resolved by installing additional capacity. However, for businesses with seasonal demand, this can be expensive and often results in a high number of lines going unused for long periods of time. 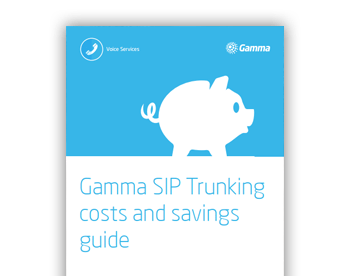 › SIP trunking can provide the ability to quickly scale your lines up or down depending on your company’s peaks and troughs in call volume. Additional lines can be quickly provisioned while a promotion is occurring and can then be removed once it’s over. This means that you’ll always have enough lines to answer every call, but you only pay for them when you need them. › Network-based call queuing allows your provider to hold calls for you in a queue when your company’s voice capacity is fully utilised. Rather than hear a busy signal, callers are placed on hold often with music or announcements. When a representative becomes available, the call is connected. In the past, queuing required expensive call distribution hardware. Once you had the hardware, call queues were still limited by the voice capacity available to you at your office location. Network-based queuing requires no capital outlay and can avoid capacity issues by letting the provider hold calls in a queue until your company is able to receive them. › Call diversion provides a way to re-route calls when all your lines are busy. Providers that give you full control over your inbound call routing will allow you to specify an alternative destination for calls that cannot be delivered to your office either due to capacity issues, or because the call went unanswered. Calls could be directed to a different department, a voicemail system, a mobile or even a call answering service to make sure the call is still picked up. This will also ensure business continuity in the event of an unforeseen disaster such as flood, fire or office closure. › Call waiting lets you know if another call comes in when the line is already engaged. This allows your employees to see and answer any secondary calls. Finding ways to handle calls during peak times will help turn missed calls into sales opportunities which could eventually convert them into additional revenue. Some customers make a purchase every single time they call you.and some ask endless questions and never buy a thing. If answering calls from time wasters means you’re missing calls from valued customers, you’re putting revenue at risk. With an inbound call management system calls can be routed directly into the appropriate department. For example, support calls can be routed straight to your service desk or if your business services a specific city, you can prioritise calls from customers in that region. By ensuring the right people answer the right calls you will improve customer satisfaction and help grow your revenue. Looking solely at the number of calls your company receives only paints part of the picture. To view the whole landscape you’ll need to pick a provider that gives you full insight into the calls your company receives. Call statistics can help you learn how your calls are being handled and which ones are being missed. Use this data to adjust your call flows, call handling teams and internal processes to ensure that every call is answered efficiently. Being able to receive every call that comes your way and handle it effectively is the key to more sales and increased revenue.